HMM, DO THE DEMOCRATS AND MSM CARE ABOUT THIS FAKE NEWS …. 18 year old Yasmin Seweid, the woman who claimed she was a victim of a hate crime and anti-Muslim harassment appears to have made up the entire story. Oh wait MSM and Democrats, would that be fake news? The Muslim student who said she was harassed on the subway by drunken, hate-spewing white men shouting “Donald Trump!” It was all a lie. She made the story up because she broke curfew. She was charged with filing a false police report and obstructing governmental administration. So we are presented once again with another phony “Islamophobic” hate crime that the MSM was all too willing to embrace and jump on. Maybe the hate crime is that she accused Christians of assault? Police on Wednesday said a New Hyde Park teen made up a story about being verbally attacked on a New York City subway train because she is Muslim. 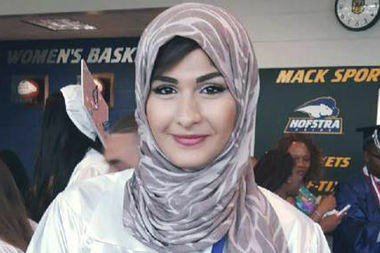 Yasmin Seweid, 18, was brought in for questioning by police around 2:30 p.m., sources told CBS2. She was charged with filing a false police report and obstructing governmental administration, sources said. Seweid claimed that she was verbally assaulted by a group of three men on the subway around 10 p.m. Thursday, Dec. 1. She told CBS2’s Tracee Carrasco she got on the No. 6 Train at 23rd Street and Park Avenue after leaving an event at Baruch College. “I heard them talk, but I had my headphones in, I wasn’t really listening, I had a long day. And they came closer and I distinctly heard them saying, ‘Donald Trump,’” she said. Seweid said no one stopped the men, not even when she claimed they tried to tear off her hijab. “They kept saying, ‘You don’t belong here, get out of this country, go back to your country,’ and finally they came really close and they were like, ‘Take that rag off your head,’” she said. Seweid also criticized President-elect Donald Trump personally. UPDATE I: What Yasmin Seweid’s Pretty Little Lies Reveal About ‘Fake News’ Media Hypocrisy. Since Donald Trump’s election night victory and at the direction of Hillary Clinton campaign operatives, social media users have been scolded and warned over the scourge of “fake news” from supposedly respected journalistic outlets, on the web and on network television. Clinton herself, just last week, even blamed her election loss partly on the dangerous spread of fake news. So enter the curious case of Yasmin Seweid, the 18 year old New York City college student whose story of being harassed and assaulted by three Donald Trump supporters on a line 6 subway train went viral. This came on the heels of reports — many exaggerated — a so-called “surge” in Trump-fueled, hate-filled activity. I GUESS DEMOCRATS WILL GO BACK TO CALLING FBI DIRECTOR A PATRIOT AND PRINCIPLED, MAN OF REASON … THE FIX HAS ALWAYS BEEN IN. FBI Director James Comey has once again let Hillary Clinton off the hook for her criminal handling of top secret information in the use of her private email and server. Unbelievably, Comey has let Hillary off the hook again. So the nearly all docs on Weiner’s laptop were duplicates of emails FBI had already seen or were personal. Um, that still does not explain why there were emails on a computer used by Anthony Weiner, aka Carlos Danger. Sadly, the FBI director never had any intention of ever really instigating or indicting Hillary. 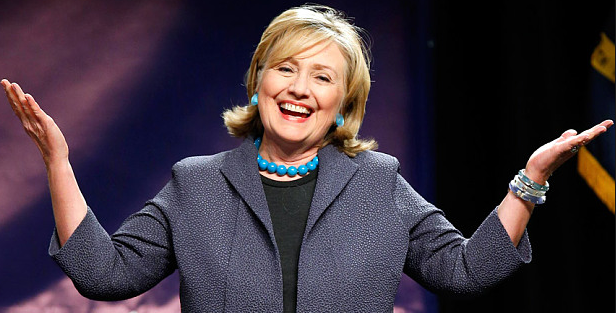 What difference does it make if I operated in a criminal manner, did you really think a Democrat administration was going to indict me? “Based on our review, we have not changed our conclusions that we expressed in July,” Comey wrote in the new letter to congressional committee chairmen. Comey dropped a bombshell on the presidential race last month when he sent a letter to Congress saying the FBI had discovered emails in a separate investigation that could be connected to the now-closed probe of whether Clinton mishandled classified information. The move infuriated Democrats and emboldened Republican nominee Donald Trump. It’s impossible to know before results are tallied what impact Comey’s actions — first raising a vaguely worded red flag 11 days out, and then lowering it two days from the election — will have on the contest. But the news could help Clinton put to rest a controversy that has dogged her in the 2016 race’s closing days, helping Trump narrow a polling gap nationally and in key battleground states. Trump assailed the FBI’s handling of the matter, though he did not directly address Comey’s announcement at a rally in Sterling Heights, Michigan. What is obvious from Comey’s decision is that we have a corrupt, corrupt government. As Right Wing News opines, “Former House Speaker Newt Gingrich had some tough words for the FBI Director James Comey, claiming he has “caved” to political pressure due to another dismissal of Hillary Clinton, two days away from the election. Comey proclaimed Sunday afternoon that the bureau would not be pursuing the conclusion in regards to their criminal probe into Hillary Clinton’s use of a private email server while secretary of state. In July, Comey declared that he would not suggest charges against Clinton — despite acknowledging that the private server held classified information. A teacher was attacked and injured in a Paris suburb Monday by a man claiming to be associated with the ISIS terror group, French police said. Sky News reported that the victim suffered non-life-threatening injuries in the incident, which is being investigated by anti-terror police. 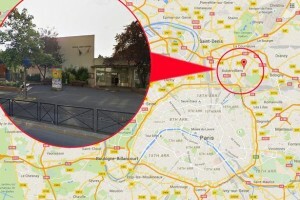 The Agence France-Presse news agency reported that the teacher was stabbed in the side and the throat while preparing for class at the Jean Perrin pre-school in the town of Aubervilliers, northeast of Paris. Sky reported that the assailant, who remained at large, was carrying a knife and a pair of scissors. UPDATE I: Turns out the story was a hoax … Teacher Made up the entire story. Turns out this idiot made up the entire story so that he could have himself transferred. Where, to a mental institution? The French authorities said on Monday that a teacher who claimed to have been stabbed with scissors and a box cutter at a preschool near Paris had fabricated the story. A police official in Aubervilliers confirmed that the teacher, who has not been identified, admitted to having invented the assault by a supporter of the Islamic State at the Jean Perrin preschool in Aubervilliers, a northern suburb of Paris. It “was a fake attempt, done so that he could have himself transferred” to another job, the official said, speaking on the condition of anonymity because he was not allowed to speak to reporters about the episode. A spokeswoman for the Paris prosecutor’s office, Agnès Thibault-Lecuivre, said, “He wounded himself alone in his classroom, before the children arrived,” in what she called the first such instance in France. She said the preschool teacher, 45, was in the hospital for his wounds, which were not life-threatening, and was being questioned further. It would appear that the Mexican Drug Lord Joaquín “El Chapo” Guzmán has declared war on ISIS before the United States of America has. Accord to accounts, El Chapo is none to please with ISIS who seem to have been interfering with his business and have impacted shipments. In an email El Chapo stated, “You [ISIS] are not soldiers. You are nothing but lowly p*ssies. And then went on to say, “I pity the next son of a whore that tries to interfere with the business of the Sinaloa Cartel. I will have their heart and tongue torn from them.” Maybe the El Chapo drug cartel should be tasked to fighting ISIS instead of Obama? Mexican drug lord Joaquín “El Chapo” Guzmán has a lot of enemies: the Mexican government, the Drug Enforcement Administration, Donald Trump. But now the world’s most powerful drug trafficker allegedly is taking on what is arguably the world’s most feared organization, ISIS. In an unconfirmed report, Chapo’s anger toward the radical jihadist group does not stem from some sense of altruism for the victims of the recent attacks in Paris or San Bernardino, but instead from concerns about his bottom line after ISIS destroyed several of his Sinaloa Cartel’s drug shipments that were being moved through the Middle East. Guzmán allegedly sent a harshly-worded warning via email to ISIS leader Abu Bakr Al Baghdadi, which was published by the website Cartel Blog, about messing with the cartel’s business. This might be a head scratcher and something the US Secret Service might want to take notice of ahead of Clockmed’s visit to the White House. It would appear that Ahmed Mohamed is visiting Sudanese President Omar Hassan al-Bashir in Khartoum. The Sudanese president has been charged with war crimes. 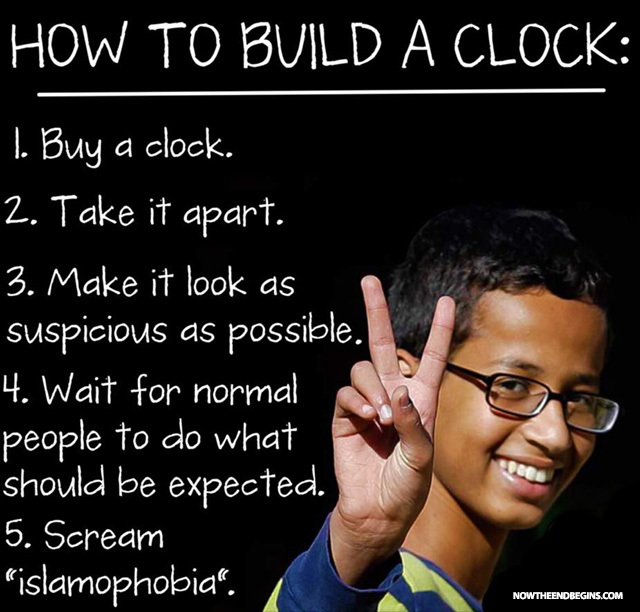 But of course that makes no difference to the LEFT, Clockmed is a celebrity to them. However, there was no racism and Islamophobia when 14 year old Ahmed Mohamed was arrested in Texas for bringing what any average, normal person and even uber-libs perceived to be a bomb to school. That is of course unless you are the liberal MSM for the divisive always looking for a way to divide America, Barack Hussein Obama. Why didn’t Obama invite all the other school children who were handcuffed and suspended from school who brought what looked like guns to school when some where in fact a pop tart? Who is the bias racist with an agenda? Why does this entire thing look like one big attention seeking hoax? 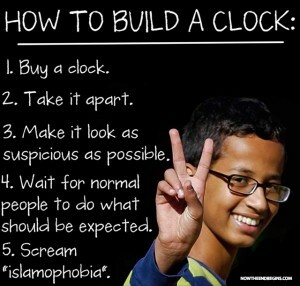 The arrest of Ahmed Mohamed, a 14-year-old Texas student, in mid-September for bringing a homemade clock to his high school created a nationwide debate about racism and Islamophobia in the United States. Despite facing a wave of ugly criticism, Ahmed won support from high places — President Obama tweeted his support, and the teenager is expected to be a guest at the White House this weekend. Ahead of that that visit, Ahmed has met with another president. This meeting is a little bit more surprising.